OLD PARKED CARS. : 1982 Datsun/Nissan Sentra Hatchback. Christ, I didn't even know this body style existed. Rare as hell, maybe even rarer than the Nissan Pulsar. Those Supra rims work perfeclty with the color. a chevette, another chevette, and gremlin. Late post but, WOW that is a lot of glass! 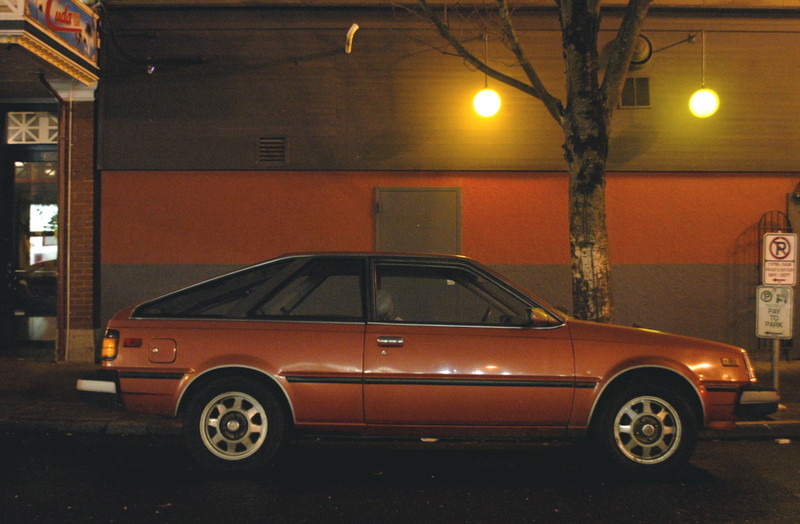 Could totally see myself daily driving one of these and loving the visibility and 80s datsun style. Also loving shots from this block. 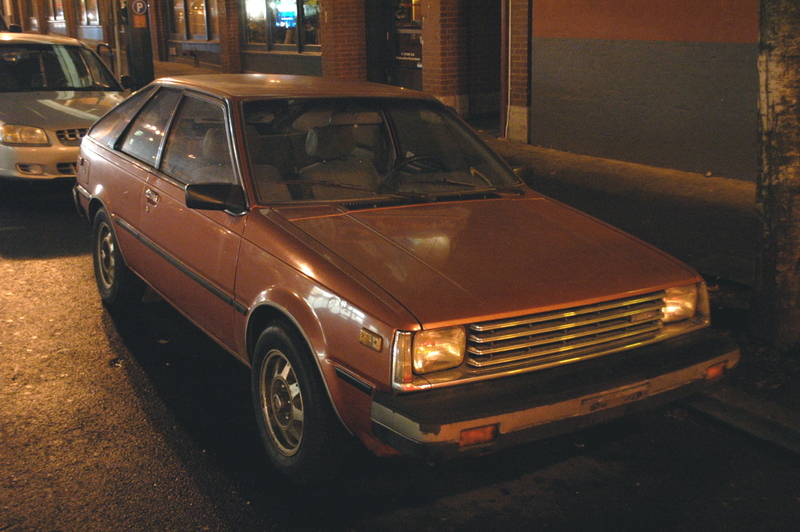 My first car was also an '82 Nissan Sentra hatchback (I got it used in '85) although mine was white with a blue stripe that had "Sentra" in white under the rear windows. 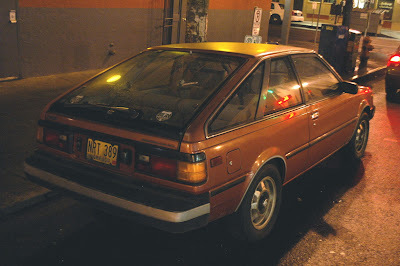 Mine also had a set of louvers over the hatch window, which did actually help keep it from heating up in the sun. The previous poster is correct that it had mechanical levers in the center console behind the parking brake to open the rear windows. Most underpowered thing I ever drove, I used to have to race down hills to get have enough speed to get over the next one. As you can guess, I loved it.